True North Furniture — Shop for deals on furniture, sofas, recliners, dining sets and more! True North Furniture builds solid wood furniture distinguished by exceptional quality, craftsmanship, and taste. Ranging from distressed solid wood to contemporary, sleek lines, True North Furniture has provided Canadians with masterful collections for over 25 years. Founded in Fraser Valley, British Columbia, Canada, True North completes your home by designing and building solid wood furniture using traditional methods and superior wood knowledge. Their furniture celebrates the natural beauty of wood and the time honoured traditional method of joinery. Each True North product is proudly made in North America, with all materials sourced here and built in their plant in Abbotsford, BC. True North designs are influenced by craftsmen and designers with state of the art machinery and techniques, building the right furniture just for you. Not just for home, True North also manufactures custom furniture for restaurants, resorts, hotels, café, pubs, and healthcare facilities in western Canada and US. Their expertise in working with solid wood, laminate and other materials ensure that True North furniture is built to last in commercial and home applications. True North’s clients include Beaver run, Fairmont hotel, Sun Peaks resort, and more. Each piece of True North furniture can be built into any combination of four styles: standard, mission, contemporary, and applied moulding. Items can be stained in two tones for added effect. Door panels and backings are pre-stained so that wood movement will not reveal unfinished areas. 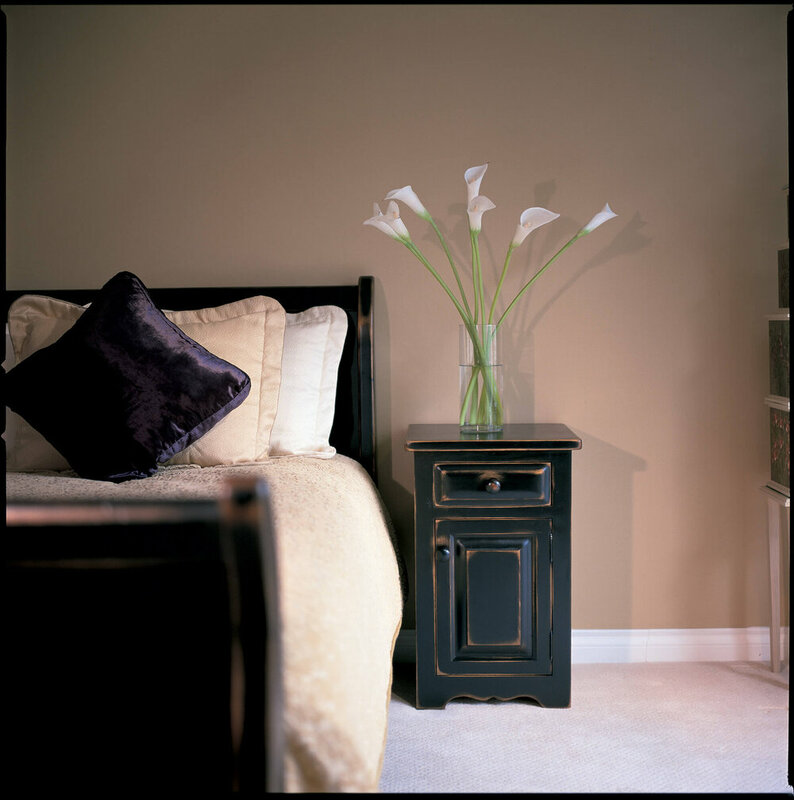 True North believes the place where days begin and end should be comfortable and inspiring. The stunning yet subtle designs of their slat sleigh bed, mission-inspired bed, and dresser collection help create a bedroom that stirs your senses while offering peace and tranquility. The dining and kitchen furniture are sturdy and tested for daily use, as well as holiday gatherings and general entertaining. Let True North become a part of your home.